I had this beer last year at Craft Beer Comes to a Boothbay a brewfest put on by the Maine Brewers Guild hosted by Win at Boothbay Craft Brewery. Since then Win received the towns OK to open Watershed Tavern which has a solid lineup of beer and some very good food. I grabbed this growler on my first trip to the tavern. They also sell the typical brown growlers with a label on it but I opted for the stainless steel. The beer is about what you would expect from a pale ale, light orange in color with a thin white head. Aroma has some light hops and malts. Taste is about the same with some hop bitterness but also a nice sweet malt finish. 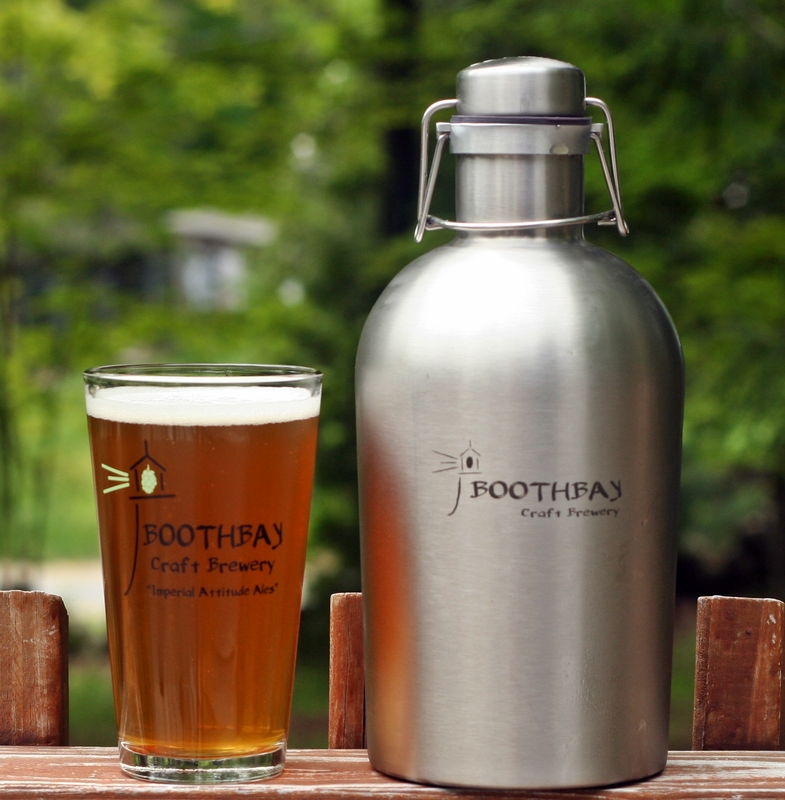 Overall this beer is very drinkable and worth grabbing a growler of next time you are in the Boothbay area. It is a mildly hoppy pale ale using a 2 row, vienna, and munich malts for body,color, and head retention. It is hopped with American west coast hops later in the boil giving it a nice citrus hop flavor and very mild aroma. Slight addition of a roasted caramel malt gives “633” it’s signature ‘sunset over the harbor glow’.